BERLIN, May 12. /TASS/. Nord Stream 2 AG expects to begin the construction of the Nord Stream 2 pipeline in the Bay of Greifswald in the middle of May as planned, in spite of the lawsuit filed by Germany’s Nature and Biodiversity Conservation Union (NABU) demanding to prevent that. The spokesman for the company, which is the operator of the construction project, informed TASS on Saturday that the middle of May is the earliest time envisaged by the decision on the schedule [for the construction and operation of the pipeline in the German coastal waters and in the littoral zone] for the beginning of preparatory work in the water, which must be done before actually laying the pipes. He added that the company is ready to begin this work, the way it was planned. The specific date will be announced soon, it could be put off due to unfavorable weather conditions, the company’s spokesman noted. The schedule for the construction and operation of Nord Stream 2 in Germany’s territorial waters and the coastal zone [the decision to this effect was received on January 31] is still valid and feasible, the company stressed. 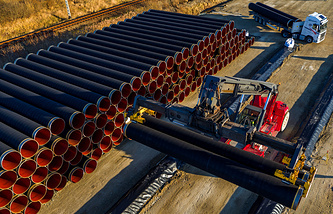 The Nord Stream 2 pipeline is expected to come into service at the end of 2019. The pipeline is set to run from the Russian coast along the Baltic Sea bed to the German shore. Each of the pipeline’s two stretches will have a capacity of 27.5 bln cubic meters. The new pipeline that is expected to connect the Russian resource base with European customers will double the capacity of the first line and will basically follow its route. 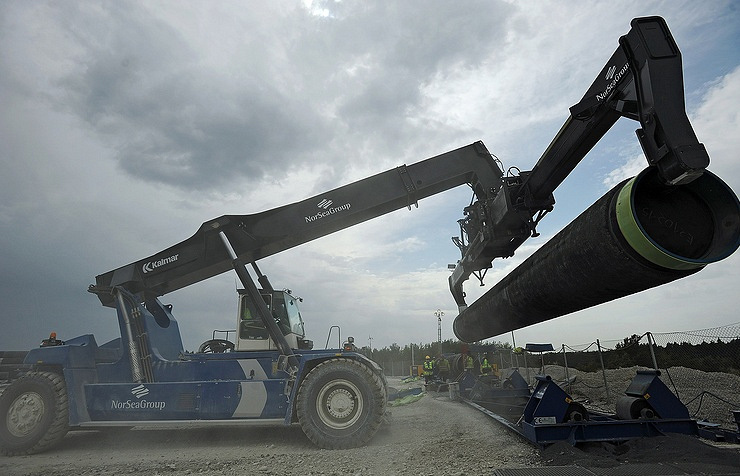 The cost of construction of the Nord Stream-2 is estimated at 9.5 bln euros.